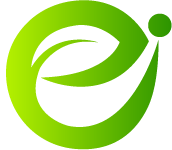 EI recently won a contract to provide on-call environmental engineering services to Seattle Public Utilities’ Geotechnical Engineering group in Seattle, Washington. Work may include planning and implementing environmental field investigations that involve subsurface characterization, analytical testing, hydrogeological analyses, and construction observation and inspection services. In late 2011 and early 2012 EI performed on-site environmental compliance and green environmental management systems (GEMS) audits at ten U.S. Department of Veterans Affairs (VA) Sierra Pacific Network (VISN 21) locations including medical centers in San Francisco, CA; Honolulu, HI; Manila, Philippines and Reno, NV. Over 100 buildings were assessed for compliance with all applicable local, state, and federal regulations including the Clean Air Act, the Clean Water Act, and the Resource Conservation and Recovery Act. Led by national experts in environmental compliance and environmental management systems, EI used broad and practical knowledge of regulations related to air emissions, ozone depleting substances, petroleum storage, wastewater, asbestos, lead-based paint, Environmental Safety and Occupational Health (ESOH) documentation, hazardous waste and medical waste to support the VA in their pursuit of improved compliance and effective GEMS programming. EI auditors inspected each site’s facilities, interviewed VA personnel, reviewed permits, checked records, and researched regulations prior to entering all positive and negative findings into an online, electronic tracking program for use throughout the VA. EI auditors provided a findings report for each facility and took care to identify not only areas of non-compliance, but also areas of success and ideas for improved environmental management practices. EI was available to each facility’s compliance and GEMS coordinator for discussion of findings and ideas. The audits left VA facilities with the steps to improve regulatory compliance and innovative methods to enhance their GEMS practices. Restoration is the only hope we have, says Scarborough native and Bates College graduate Valerie Lee after testifying before Congress on the catastrophic impact of the British Petroleum oil spill on the ecological systems in the Gulf of Mexico. Otherwise, we could be looking a dead zone hundreds of miles wide and thousands of feet deep for generations. It could be much worse than Chernobyl. 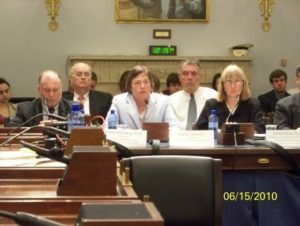 Lee, a natural damage resource expert who has worked on a number of environmental assessments and clean-ups in Maine, told the Congressional subcommittee on Insular Affairs, Oceans and Wildlife on Tuesday, June 15th that the price tag would be billions of dollars for assessing and rehabilitating the Gulf. We are building a fire truck in the middle of the fire to respond; the civilian federal agencies responding dont have the resources they need to assess injury and mitigate and restore injury, she warns. She sees the subsurface plumes as an even more deadly threat than the surface contamination, possibly threatening an entire ocean food chain. Lee recommended that the Navy with their sea-going assets be activated to help assess injury and conduct restoration. The estimated price tag for the assessment of injury alone would be more than $1 billion dollars. She underscored the importance of applied science and technology directed toward restoring the ecosystem and the businesses and lives affected by the disaster and hopes that Maines Congressional delegation sees this as a national crisis. Congress asked her to assess the nations ability to respond to the crisis and describe the type of assessment needed to fully evaluate the scope of the damage to the subsurface of the gulf. Valerie Lee is the president of Environment International Ltd. with offices in Seattle and Scarborough, and a leading expert in resource damage assessment. While working for the U.S. Justice Department, she developed the first program for restoring sea bird colonies following a massive west coast oil spill using the model developed in Maine for the restoration of puffin colonies. Ms. Lee, an honors graduate of Bates College in Lewiston with a Masters degree from MIT in Civil Engineering with focus on water resources and a J.D. from Yale Law School, is available for background information on the Gulf and interviews. She is an expert on injury assessment and restoration for oil spills and the primary author of the only text on natural resource damage assessment, The Natural Damage Assessment Handbook: A Legal and Technical Analysis, published by the Environmental Law Institute in Washington, D.C.